Equador recently secured an IMF loan under newly elected president Lenin Moreno. Sources say handing over Assange is part of the deal. Here's to hoping that that IMF loan will not bankrupt Ecuador. Exactly how is he trading anything? Thank GOD! Unfortunately it was the worst choice of candidates in U.S. history and we ended up with a lifelong pathological liar and con man who is so inept that his reality TV carnival act presidency makes Bush 2 look like an actual stable genius. He got soul doe! Assange is a hero. What a sad day. The price for Assange turned was $4.2 billion, signed 6 weeks ago. Fake news! It's as simple as that. just to name a few. 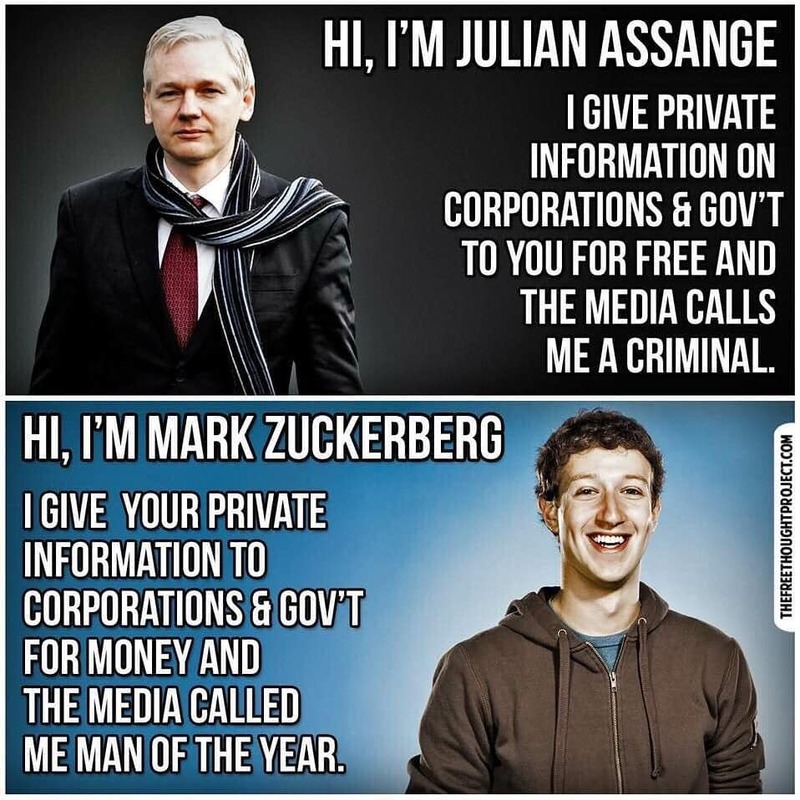 democracy depends on voters having information, so of course those who want to keep their shady deals secret want us all to think assange is a terrorist. Snowden covered the "governments everywhere were spying on their own people" one in the most detail. It was already obvious they were doing it in the US since a whistleblower inside a large telco had reported what they had to do - clone all traffic over to the government but Snowden really blew the lid off how global it is & confirmed that Microsoft, Google etc are in on it. Wikileaks released the tools & methods that the CIA uses to hack people with their Vault7 dump years after Snowden's revelations.